A gateway to thousands of images featuring current and historical news events from Japan and Asia. · What Does the Site Contain? · How Do I Use the Web Site? · How Do I Open an Account? 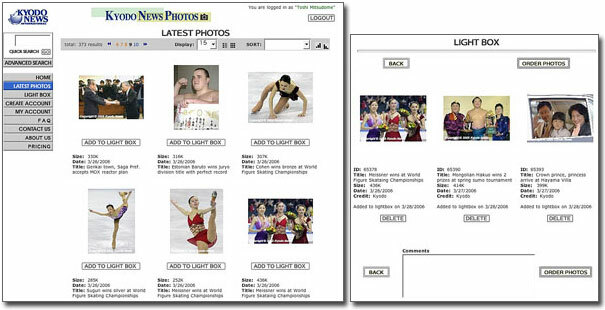 The Kyodo News Photo database contains thousands of pictures covering current and historical news events, prominent political, entertainment and other personalities, photos of cities, landmarks, corporate buildings, pop culture, landscapes, technical and scientific products, traditional costumes and ceremonies, feature photos as well as a large collection of historical subjects. The Kyodo News Photo web site will allow you to browse images from our current news file or search our extensive database by entering a keyword or date search parameter. Selections can be transferred to your lightbox for review and then downloaded to your site. 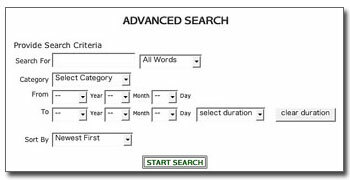 In looking for common subjects it is important to consider limiting the time span of your search since searching by keyword alone can retrieve hundreds of images going back to 1997 or more. Note: If you can't find what you want by searching, send us an e-mail with your request. We have extensive archives available which may contain the items you need. · What Does it Cost to Download Photos from the Database? Charges for Kyodo News Photos are based on the type of media in which they are to be used (newspapers, magazines, textbooks, etc.) plus other factors such as single or multiple use, size in which the photo is to be reproduced and so on. Details along with suggested prices are available by clicking on "Pricing" on the home page menu. If you still have questions or wish to discuss special circumstances, please let us know by clicking "Contact Us" on our home page. 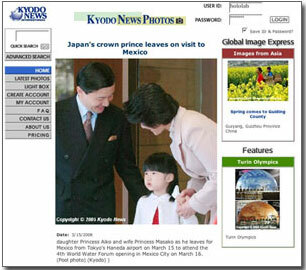 Access to the Kyodo News Photo database is available only to commercial users. These include, but are not limited to, newspapers, magazines, book publishers, ad agencies and Internet publishers. If you are not sure whether you qualify, please let us know. Qualified users can click the "Create Account" item on our home page and follow the easy instructions. Once we have received your information* and approved your application we will notify you by email and fax you a short "User Agreement", which should be signed and returned to us by fax. Once done, you're ready to browse, select and download images. *Kyodo News International will NOT share the information you provide in your application with any other parties.